Congratulations, you made it out of bed on Sunday morning. With this guide you can discover plenty of options and the best spots in Madison. 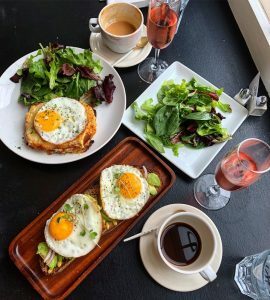 Put your favorite sweats and sneakers on, it’s time to start your Sunday right with the best meal of the week, brunch. La Kitchenette: je t’aime- this French joint on Willy Street will make you feel like you are back in Paris. 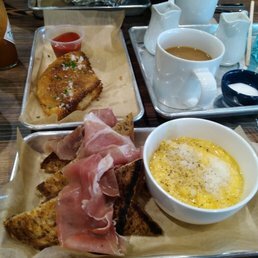 Casetta Kitchen: you might be most familiar with there perfect, warm sandwiches- but you must try their brunch, especially their eggs in purgatory and don’t forget an iced latte. Stalzy’s Deli: The vibe is good, but the food is even better. 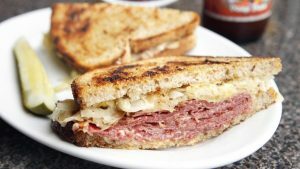 The reuben and rachel sandwich is the way to go. Merchant Madison: Who doesn’t love farm-to-table? Don’t forget to walk around the capital square after your instagram-worthy meal. 5. Gotham Bagels: You don’t need a trip to New York City when you have Gotham bagels in your own neighborhood. But, don’t sleep in too late because they will run out of bagels. 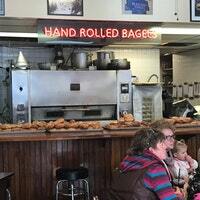 Hand Rolled Bagels- do I need to say more?